The correction continues. 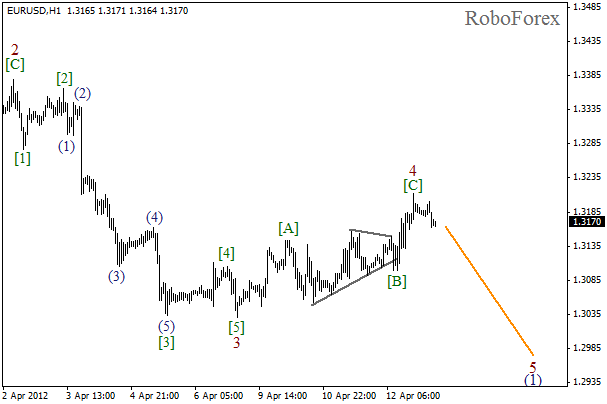 It looks like the price completed horizontal triangle in wave (B) and then started forming an initial impulse in wave (C) of . Most likely, in the nearest future the correction will be finished and the price will start forming wave (1). More detailed wave structure is shown on the H1 chart. 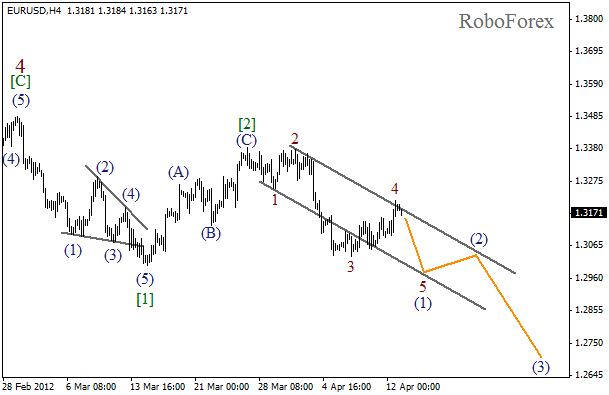 The price completed the third wave inside wave (C) and currently the local correction is taking place. We can’t exclude a possibility that the price may form one more bullish wave during Friday, however, after that the market may make a reverse. The correction is taking too much time. Earlier, the market made an ascending movement. Most likely, the correction will be finished very soon, the market will make a reverse, and the price will start falling down while forming wave 5 of (1). 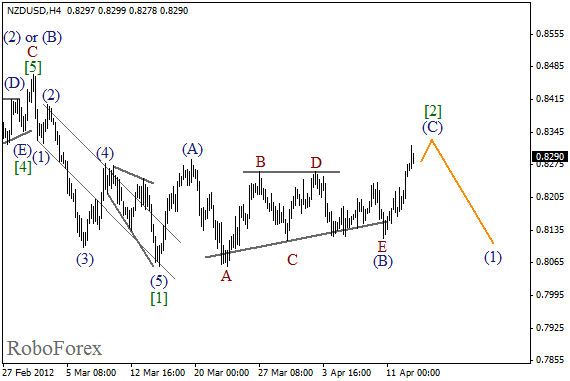 The current chart structure implies that wave 4 is taking the form of zigzag pattern. 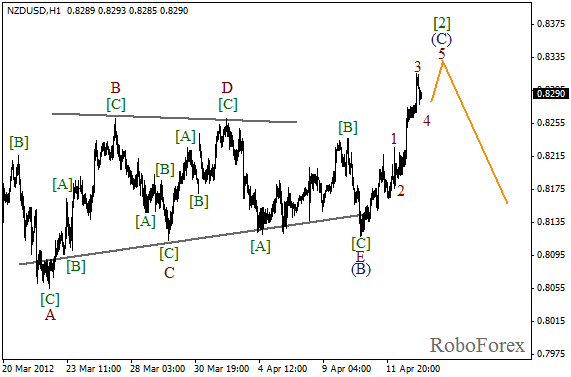 Wave [B] was been completed in the form of horizontal triangle pattern. We may assume that wave [C] of 4 has been already finished, and in the nearest future the price will start moving downwards inside the fifth one.